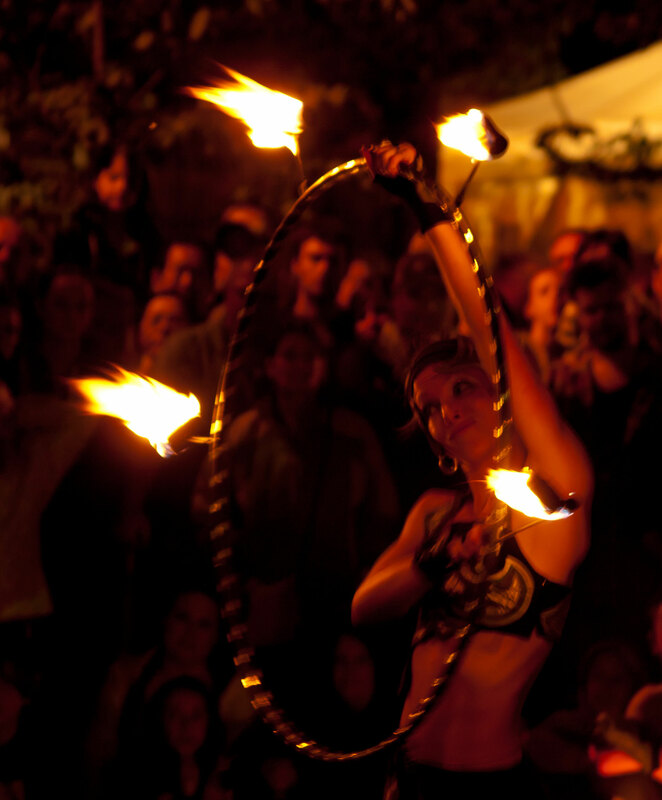 Satya has travelled the world with her fire hoop, both solo and with the award winning fire-toup Flame Oz. 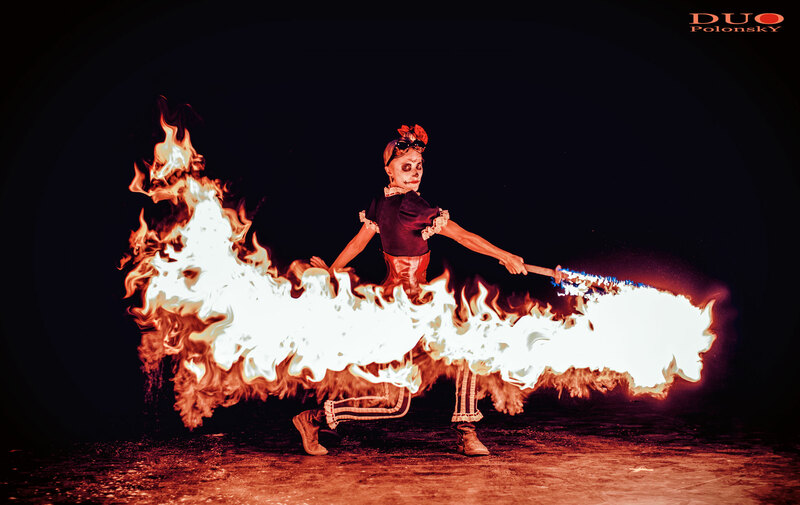 The fire hoop is sure to captivate audiences with it's combination of light and beauty mixed with an element of danger. 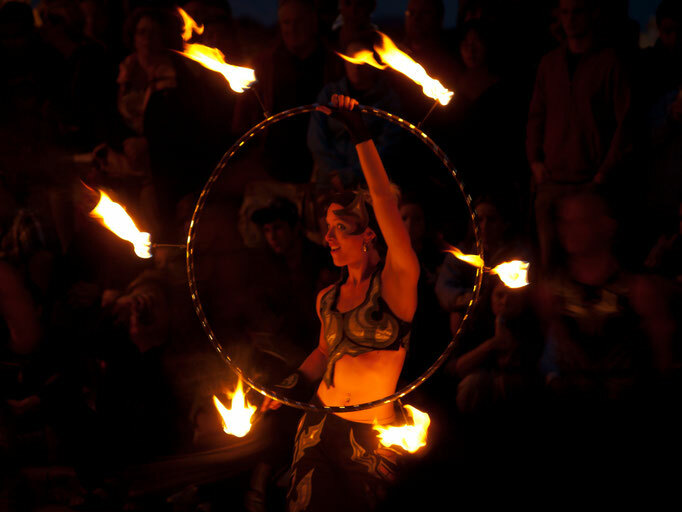 Crowds will be at the edge of their seats as Satya spins and hoops her magic. 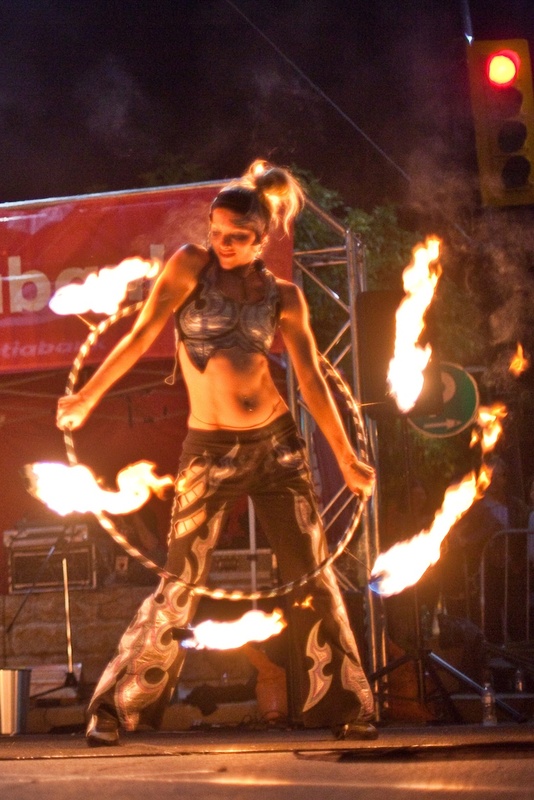 Satya has several years of experience with the fire hoop. Satya is also the only person in the world who performs hula hoop on fire while spinning about within a cyr wheel at the exact same time! 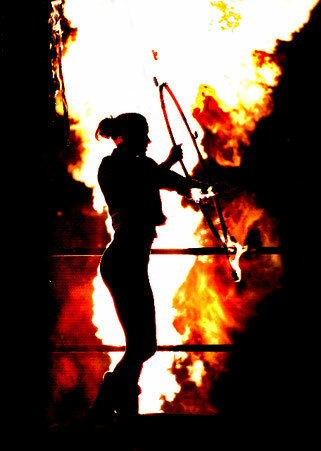 A singular talent beyond belief!